It’s possible, but why? OK, I understand the idea. If you’re RV’ing across the nation, you want to take advantage of wireless hotspots when you’re stopped. But is there a good answer? 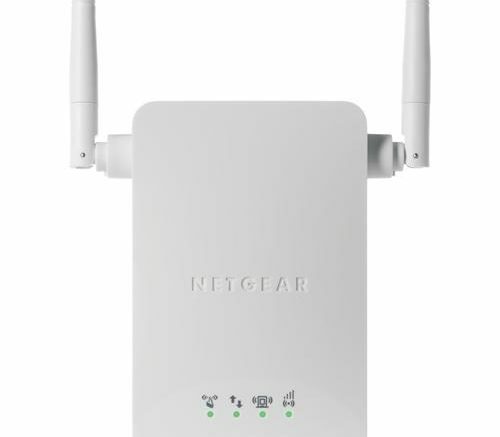 One idea that wouldn’t cost a lot of money would be to use one of these Netgear Universal WiFi Extender (WN3000RP-100NAS) from Solid Signal and when you get to your parking place, put it somewhere that gets good Wi-Fi. For example, attach it to an extension cord and point it out a window to the closest Wi-Fi source. Or, put it outside so long as your RV isn’t actually blocking all those outdoor signals. A Wi-Fi extender uses large, sensitive antennas to get more Wi-Fi signal than you would normally get with your computer or mobile device. It then creates a second Wi-Fi network with a strong signal, closer to where you are so your signal is stronger and you get better speed. This is a technique that’s used in homes all the time and there’s no reason it wouldn’t work in RVs too. The issue is that every time you go to a place with a wireless hotpot, you’d need to reconfigure the extender so it worked with the new network. That is, unless you’re using something like Starbucks where all of them have the same Wi-Fi network name. That would make it somewhat easier, although you’d still have to get through their silly authentication scheme. This sort of thing is getting less important as more and more providers find innovative ways to give you more high-speed data for a low price. For example, AT&T will let you consume as much DIRECTV content as you want without affecting your data plan, as long as you have DIRECTV service and you’ve combined your bills. Other carriers have similar plans, if not necessarily as good. Most providers are also starting to roll out data plans that will simply throttle back to low speed if you run out of data for the month, instead of automatically billing you for another chunk of high speed data. Of course, you’re still free to pay for more high-speed data if you want.